Planting by the various phases of the moon is an idea as old as agriculture itself. The Earth is in a large gravitational field, influenced by the gravitational forces of both the sun and moon. The ocean tides are highest at the phase of the new and the full moon, when sun and moon are lined up with earth and their gravitational pulls affect the large bodies of water more intensely. Just as the gravity of the moon pulls the tides in the oceans, it also pulls upon the subtle bodies of water, causing moisture to rise in the earth, which in turn encourages growth. At this time there is the highest concentration of moisture is in the top soil. 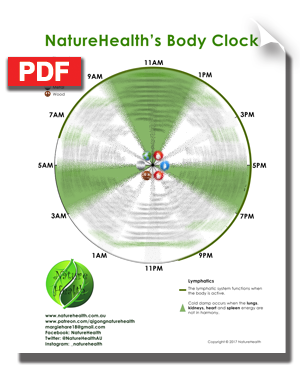 Studies have shown that seeds will absorb the most water around the the full moon phase of the lunar calendar. 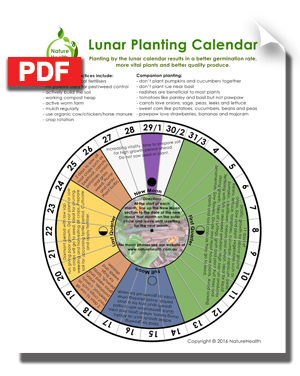 In order to better understand (and plan) for when you are to plant and when you should harvest you will find this Lunar Planting Calendar an invaluable asset in your organic gardening tool box. This product is shipped free of charge worldwide.